Pervez Musharraf delayed his appearance in court once again – this time for medical reasons. Nawaz Sharif’s government announced in late November that it would initiate a treason prosecution against Musharraf, a highly risky move that stood to polarize national politics in Pakistan. The incumbent civilian government alleged that Musharraf was instrumental in the assassination of Benazir Bhutto and subverted the constitution of Pakistan during his term as president, when he practiced emergency rule. Musharraf’s lawyers have cited security concerns and successfully delayed the trial. His lawyers have additionally claimed that Musharraf cannot receive a fair trial in Pakistan due to a “bias” on the part of Sharif’s government. The claim might not be entirely untrue given that Sharif was removed from power in a bloodless coup at the hands of Musharraf and sent into exile. Musharraf’s trial represents the first instance in Pakistani history where a military ruler has been brought to trial by a civilian government. Pakistan’s military has generally governed the country for around half of its 66 year history. 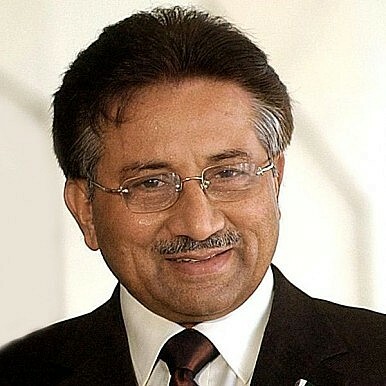 Musharraf spoke to foreign journalists in late December when he denounced the treason charges against him as the result of a “vendetta.” He additionally claimed that he had the support of Pakistan’s army – a claim that, if true, could have terribly destabilizing effects on Pakistan’s nascent civilian government should Musharraf be convicted and sentenced to death. Musharraf alleged that the “whole army” disapproved of the treason charge. Pervez Musharraf has made one thing clear to Nawaz Sharif and his government: he won’t be taken down easily. Pakistan began moving away from its days under Pervez Musharraf in 2013 with a series of changes, including its first successful transfer of power between civilian governments. Additionally, the army is no longer headed by Ashfaq Parvez Kayani. 2014 will test Pakistan’s resolve and Musharraf’s trial will remain highly polarizing for Pakistan. A Massive Corruption Probe in Pakistan Exposes Split in Ruling PartyMeet Lieutenant General Qamar Javed Bajwa, Pakistan's Next Chief of Army StaffWho Leads Coups in Pakistan: The Military or the Establishment?After Panama Papers Scandal, Pakistani Democracy's Fate May Be in the Military's HandsHow Will Pakistan Respond to the Crisis in Yemen?